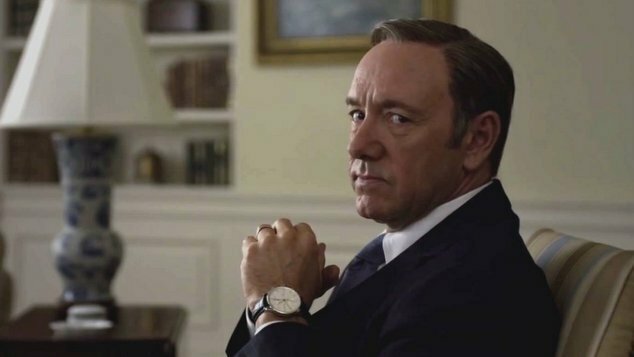 Netflix have pulled the plug on long running TV series House of Cards, announcing that the current sixth season will be the last. The news comes just a day after the show’s star, Kevin Spacey, was accused of sexually inappropriate behaviour with a teenager three decades ago. In an interview with Buzzfeed, actor Anthony Rapp, shared that when he was just fourteen years old, an intoxicated Spacey had tried to seduce him, by picking him up and throwing him on a bed and trying to lie on top of him. Rapp is best known for being an original cast member of the musical Rent and is currently appearing in TV series Star Trek Discovery. Within hours of Rapp’s claims being aired Spacey released a statement saying he was “beyond horrified” by the revelation. The star said he had no recollection of the incident but apologised for his behaviour. Spacey also confirmed long running rumours about his sexuality, confirming that he has previously had relationships with both men and women, but now identifies as a gay man. The award winning actor has been criticsed by his peers for conflating ‘coming out’ with accusations of attempting to coerce a child. Actor Zachary Quinto, who starred alongside Spacey in the 2011 thriller Margin Call, said Spacey coming out statement was sad and troubling. “It is deeply sad and troubling that this is how Kevin Spacey has chosen to come out. “Not by standing up as a point of pride — in the light of all his many awards and accomplishments — thus inspiring tens of thousands of struggling LGBTQ kids around the world. But as a calculated manipulation to deflect attention from a very serious accusation that he attempted to molest one.” Quinto said. Comedian Wanda Sykes tweeted to her followers saying that Spacey does not get to “hide under the rainbow”. While comedian Billy Eichtner declared that Spacey had invented something that was previous not possible. While House of Cards will be coming to an end producers have not ruled out creating a spin-off series that retains many of the key characters but removes Spacey from the cast.